Emi Newman (7) and Dylan Harding (8) jumped right on the latest fashion craze to help Charley’s Fund. The two friends from NYC set up a stand on their local street corner to sell the white-hot Rainbow Loom bracelets. Proceeds were donated to Charley’s Fund and a local animal shelter. 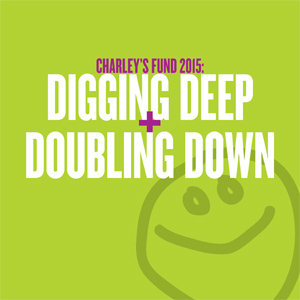 Thank you ladies for using your creativity and business-smarts to support Charley’s Fund!